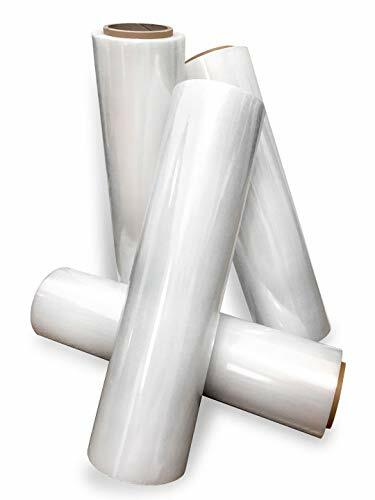 International Plastics Co. is an exclusive distributor and manufacturer of our industrial strength stretch film which offers higher load and stretch capacity thereby reducing product loss and worker injury. This film has increased tensile strength and anti-puncture properties. These properties are improved both in the longitudinal and transverse directions. Our film is of the highest quality, it's tougher once stretched allowing loads to stay better secured. All of our stretch film is true 80 gauge and thus very versatile and can handle a variety of applications. The main feature of our stretch film is the ability to draw stretch with crocheting up to 800%. The layers of the film adhere perfectly to each other, creating a hermetically sealed package that keeps products from being exposed to damaging atmospheric factors. Manufactured and imported from Europe, our machinery and materials are imported from Germany, Belgium, Italy, and other European countries that focus on only the highest quality grade materials in all aspects of production. Currently we offer 1500ft rolls as well as 20kg rolls for machine use. You have the option of choosing clear or color film. Unlike other distributors and manufactures we actually provide the correct linear feet as advertised of stretch film in our hand used rolls. The substantial difference in size is clearly seen when competitor rolls are placed side by side. This means you use almost half as many rolls thereby significantly cutting costs. 18" 1200ft Stretch Film -- We offer a versatile stretch film that can be used for moving, storage, and protecting any of your household items. A true 1200' length, just weigh it and compare. ECO Rolls with lower gauge and more plastic on the same weight! Saving up to 60% by buying direct from the manufacturer, International Plastics Corp.